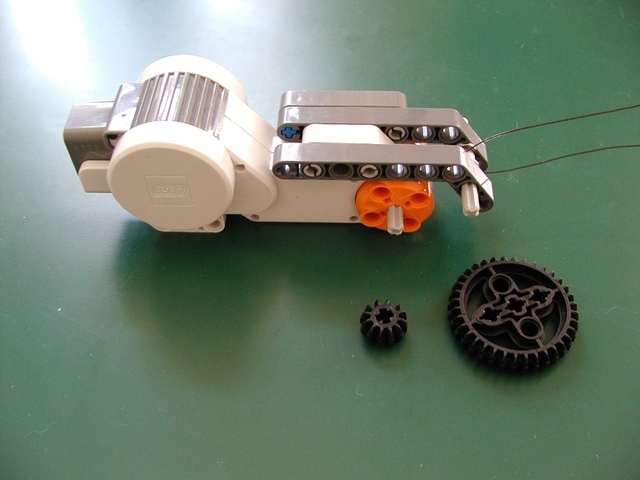 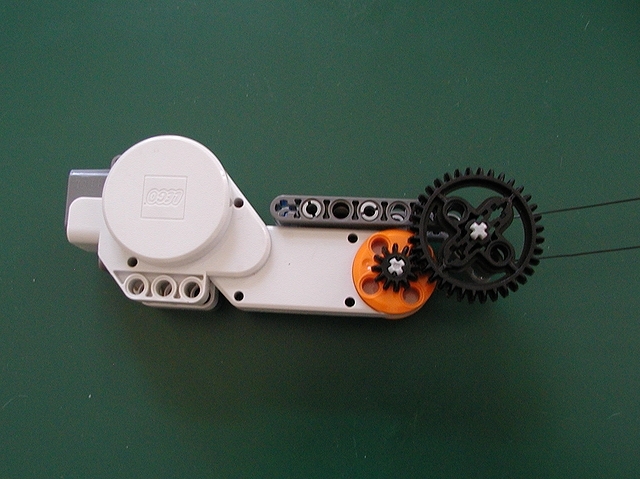 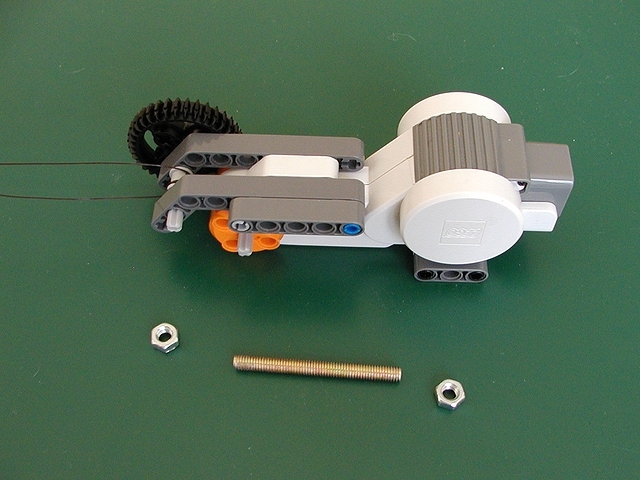 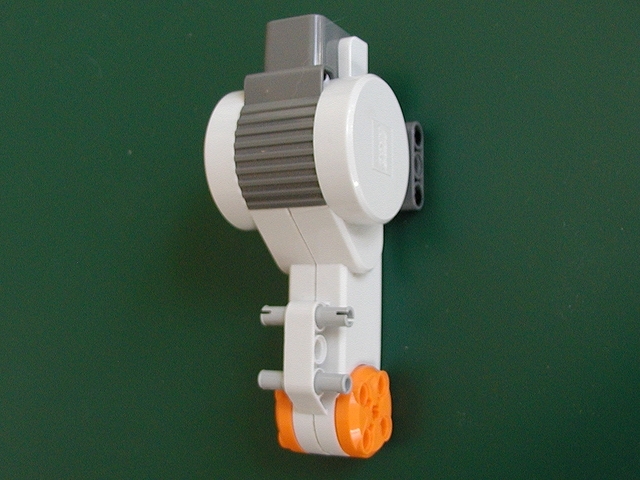 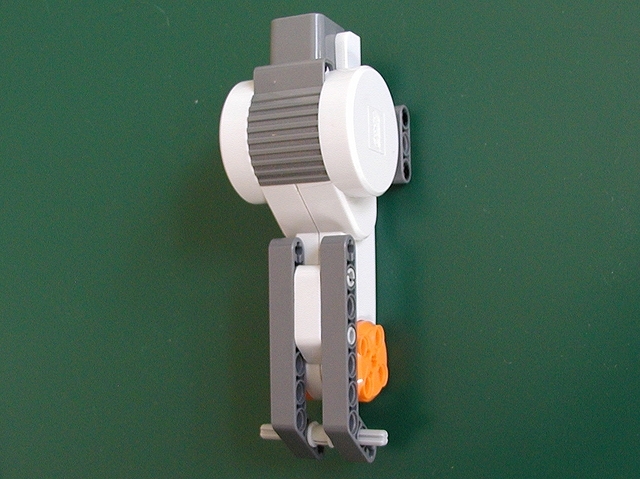 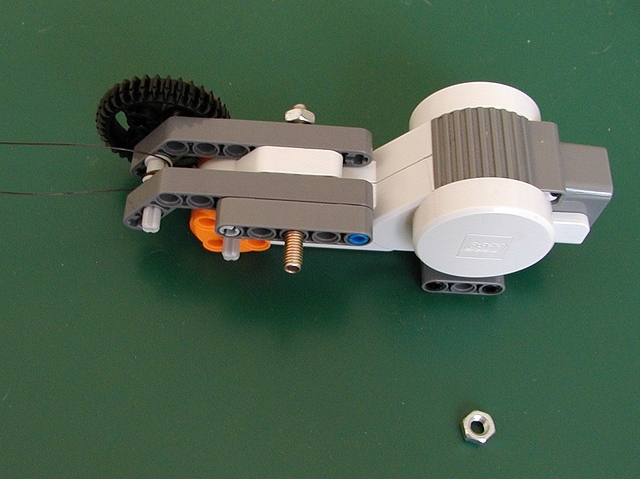 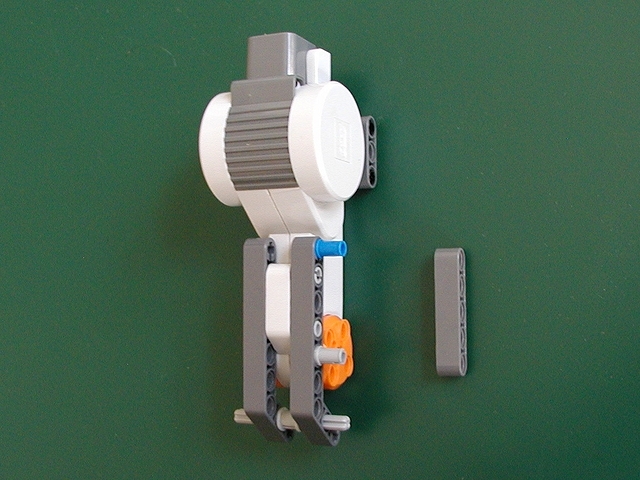 Lego parts needed to build the motor drive. 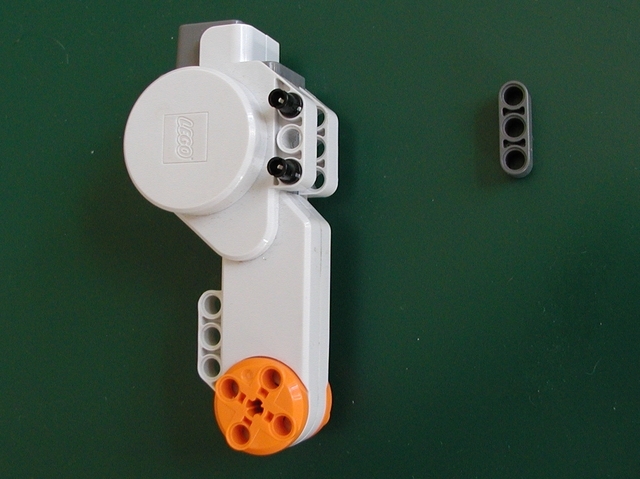 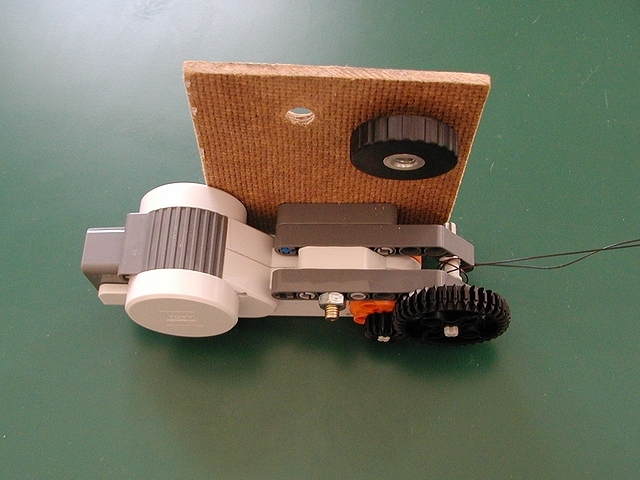 Step 1: Add a support brick to keep the motor parallel to the mounting plate. 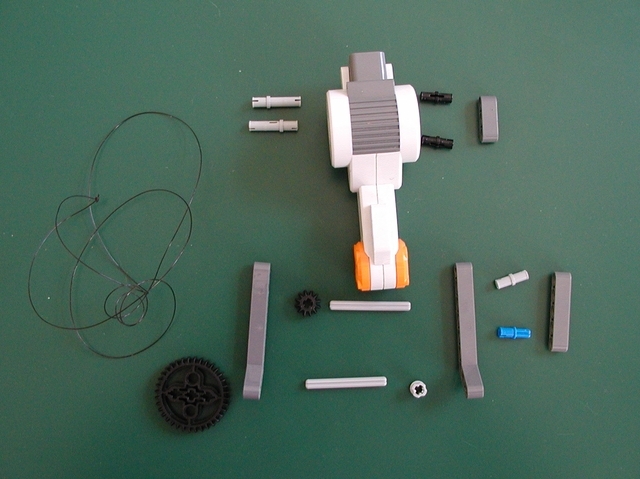 Step 3: Add nylon string. 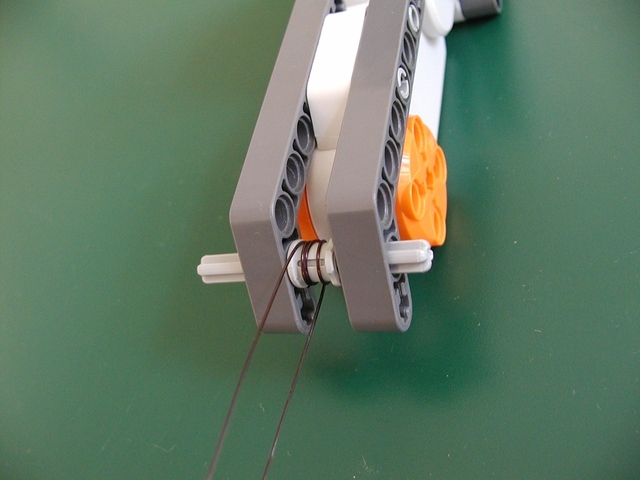 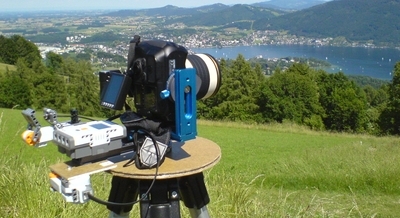 Wrap string around several times to minimize slip.